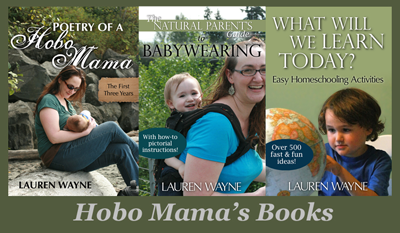 Hobo Mama: Get my babywearing book for $1! Great news! 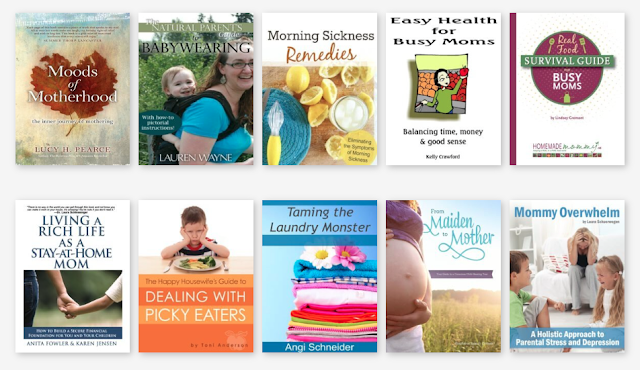 My ebook, The Natural Parent's Guide to Babywearing, is included in the current $10 Motherhood Bundle up at Buck Books. True to its name, each book is just a buck — so you get 10 incredible ebooks on natural mothering for just $10. My book is normally just about that much on its own, and buying all 10 separately would cost $68, so this is a great opportunity to add to your parenting library for pennies. The sale is on for just 72 hours, so be sure to check it out now through my link: Motherhood Bundle sale. 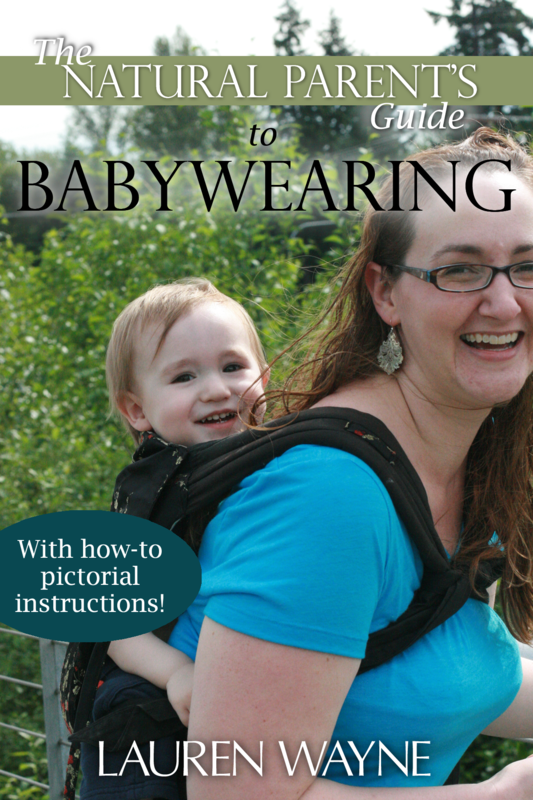 The Natural Parent's Guide to Babywearing is like an online babywearing class, giving an introductory overview of babywearing, along with troubleshooting ideas for special circumstances. We talk about the benefits of babywearing, types of common carriers, how to babywear safely, pictorial how-tos for how to tie and wrap the most popular carriers, tutorials for making your own carrier, and a list of helpful resources for information and support on your babywearing journey. Looks like a good bunch, huh? Go read more about each one & be sure to get my ebook along with the 9 others at this super discounted price!